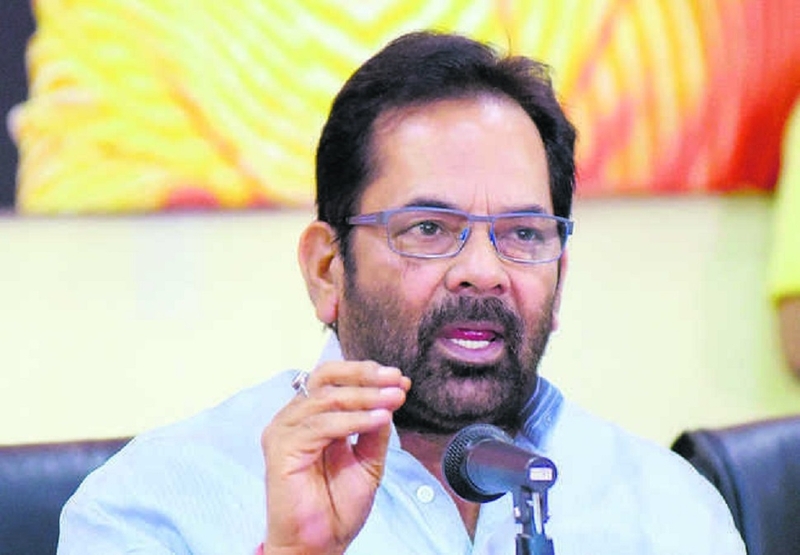 UNION Minister Mukhtar Abbas Naqvi on Tuesday said that on one hand, the Congress has become a “Benami Sampati” and on the other, the house of the party leaders have become “ATMs of black money”, from where huge quantity of black money is being recovered every day. While talking to the media here, the senior Bharatiya Janata Party leader also said that instead of levelling charges of “political vendetta”, the Congress should explain it to the investigation agencies as well the people of the country, that where such huge black money has come from. On the threat by National Conference leader Omar Abdullah and People’s Democratic Party leader Mehbooba Mufti that removal of the Article 370 will lead “freedom” of Jammu and Kashmir, Naqvi said that the State will definitely get freedom, but “it will get freedom from terrorism, separatism and friends of separatists like Omar Abdullah and Mehbooba Mufti”. Naqvi said that every obstacle in the development of the people of Jammu and Kashmir will be removed. He also claimed that a “Competition of Communal Polarisation” is going on between the Congress and the Samajwadi Party-Bahujan Samaj Party alliance.